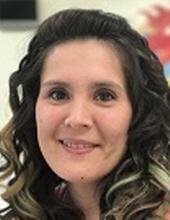 Lucier- Dehmel, Jennifer Sue - Age 35, of Flint, died October 22, 2018. Funeral service will be held 11AM Friday October 26 at Sharp Funeral Home & Cremation Center 6063 Fenton Rd. Flint. Visitation will be held 5-8PM Wednesday 1-8PM Thursday and 10AM Friday at the funeral home until the time of the service. To send flowers or a remembrance gift to the family of Jennifer Sue Lucier- Dehmel, please visit our Tribute Store. "Email Address" would like to share the life celebration of Jennifer Sue Lucier- Dehmel. Click on the "link" to go to share a favorite memory or leave a condolence message for the family.